With the Delta Composition New 2010-003, you can get organized while adding an interesting focal point to any room in your home. 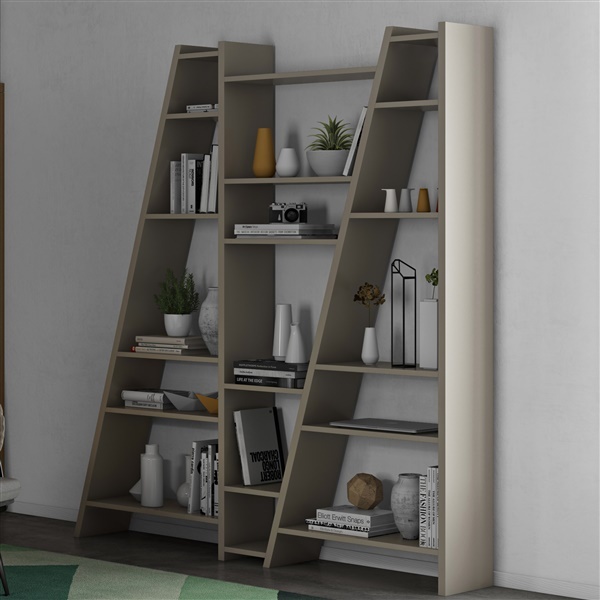 Boasting 18 shelves and a clean sleek style, this diagonal shelving unit offers plenty of storage space to display your personal belongings. Its expertly built of medium-density fiberboard using honeycomb core construction for increased strength. Functional and stylish, the Delta is available in your choice of color so it can be seamlessly incorporated into your existing decor.